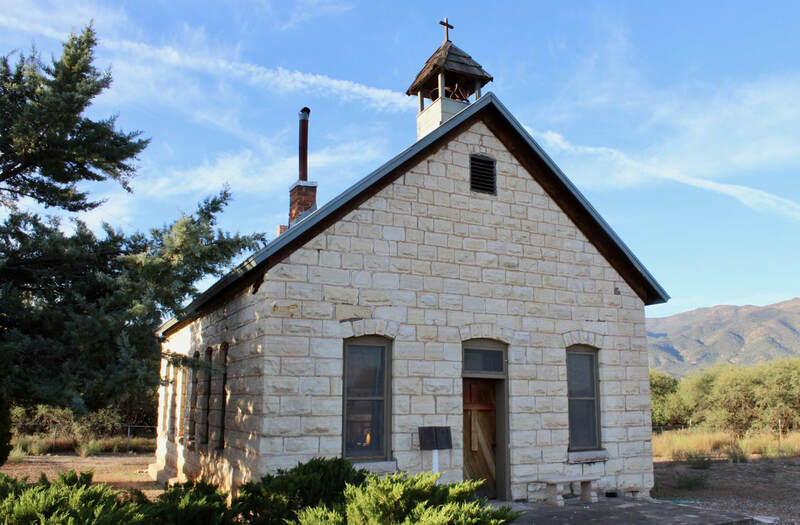 In 1865, the U.S. Army established Camp Lincoln, later called Camp Verde and Fort Verde. There were no fortified walls at Fort Verde since the Yavapais and Apaches never attacked any of the 43 forts in the Arizona territory. Fort Verde State Park's museum is surrounded by a picket fence. The historic outpost with worn wooden floors tells the stories of central Arizona's Indian wars. Artifacts include a bugle (at right) found in 1878 on the Little Bighorn battlefield. Buglers played it in the Arizona territory until 1886. 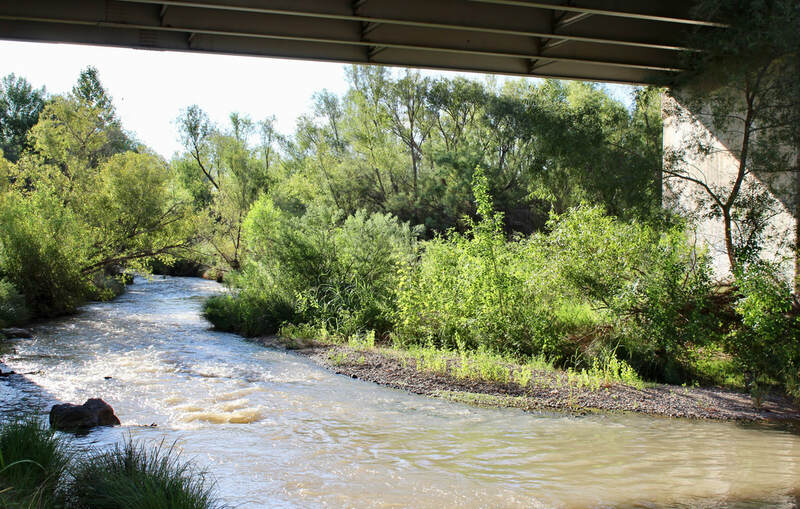 Today, Camp Verde is home to a farming and ranching community with the Verde River and its irrigation canals keeping the valley appropriately green. Verde is Spanish for "green." The Yavpapai-Apache Nation occupies the nearby Middle Verde community west of town and operates the Cliff Castle Casino with a bowling alley and other entertainment. In April 2017, it opened a six-story, 122-room hotel to add to its existing 80 rooms. Montezuma Castle National Monument, Montezuma Well, Verde Valley Archaeology Center and the Out of Africa Wildlife Park are among Camp Verde's other attractions. If kitschy roadside distractions are your thing, Camp Verde claims it also has the world's largest Kokopelli, a Navajo icon typically shown playing a flute. It's 32 feet tall and is located just east of Interstate 17 on State Route 260 (Exit 287) among tourist services. 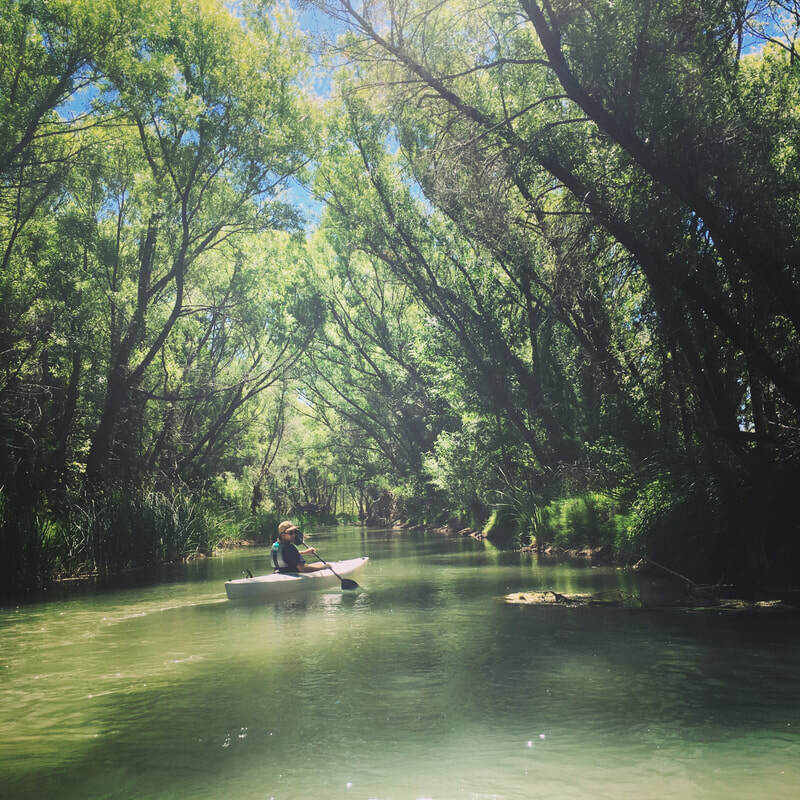 Kayakers and rafters paddle the Verde River, especially during spring runoff. 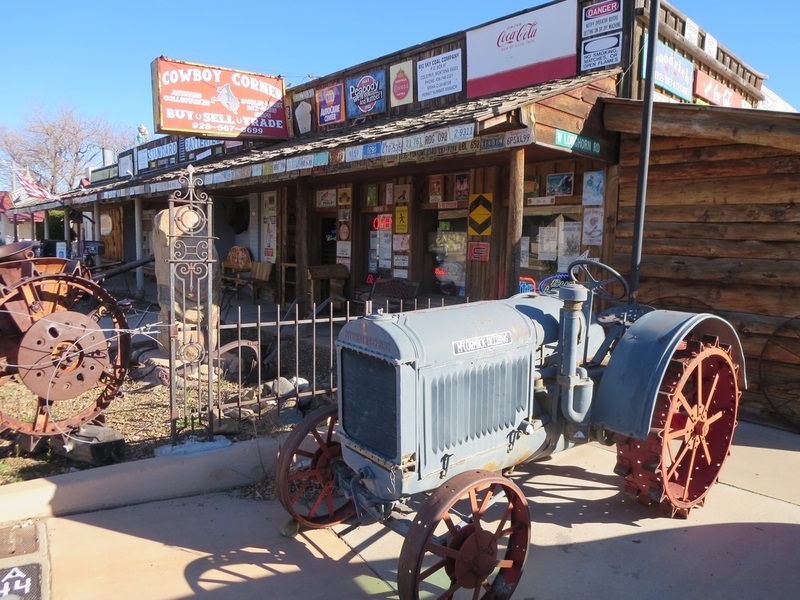 Camp Verde also boasts that the town is closest to the geographic center of Arizona. The Verde River passes under Interstate 17 at the 30-acre Parsons Riverfront Preserve, named for John Parsons, a local conservationist. Clear Creek Church, east of town, was built from 1898 to 1903. 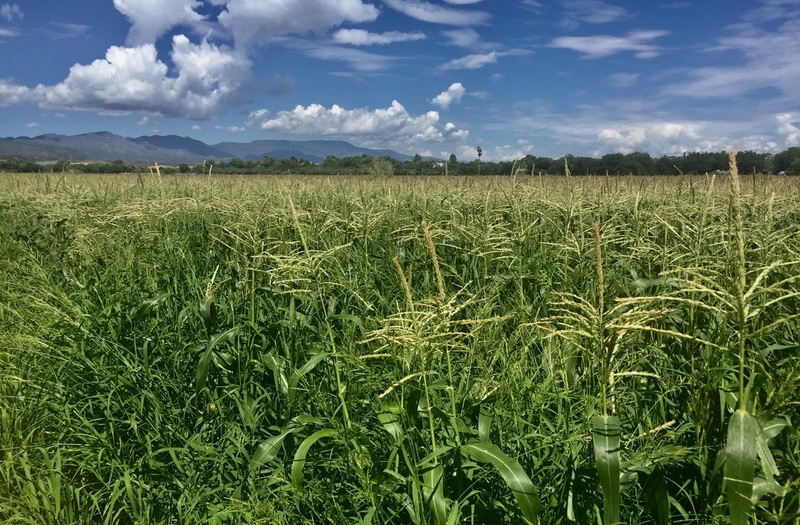 In winter, Camp Verde's verdant fields are golden, not green. The Hauser family, which has farmed for six generations, sells sweet corn at a roadside stand in season on Montezuma Castle Highway. Fort Verde operated from 1865-91 with an average of 110 soldiers. They protected settlers who moved into areas occupied by Yavapai and Apache people. Cowboy Corner on Main Street is is thick with Western artifacts.